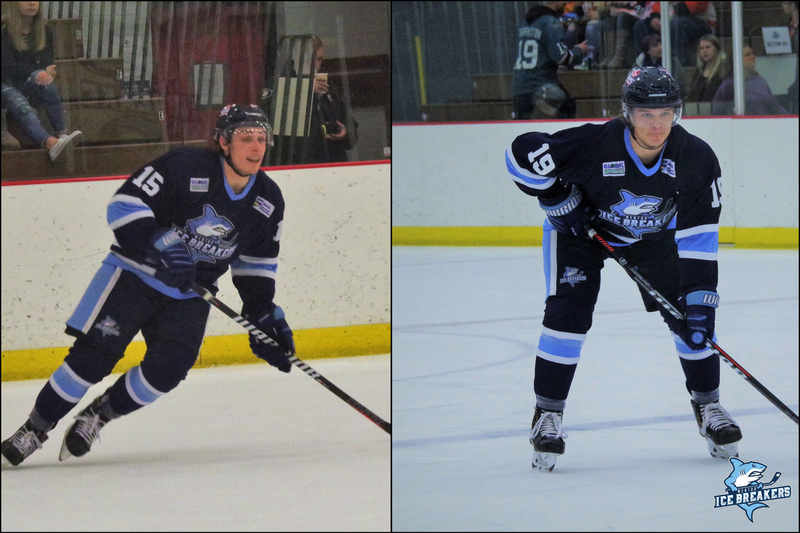 Forward Steven Fowler and defenseman Brody Duncan are two key members of the Ice Breakers roster. Fowler, who hails from Oxford, Michigan, is just 21 years old. He participated in several levels of junior hockey from 2013-17, including a fantastic stint with the Chatham Maroons in the GOJHL that saw him score 49 points (30-19-49) over 48 games. Fowler began this season with LN91, a Swedish Division 2 club, before signing with the Ice Breakers in early January. He has a 10-12-22 scoring line over 28 appearances with Mentor and has both a hat trick and a four-point game under his belt. Duncan, 24, is from Toledo, Ohio. He is the son of Ice Breakers Head Coach and former Winnipeg Jet Iain Duncan. The 5-foot-11, 175-pound blueliner spent nearly his entire junior career with the Toledo Cherokee in the NA3HL, where he racked up 75 points (24-51-75) over 122 games. He played collegiately at Saginaw State University (ACHA III) in 2015-16 before taking a couple of years off from hockey. 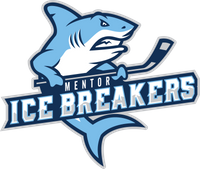 Duncan has five goals and 21 assists for a total of 26 points in 43 games for the Ice Breakers, making him the highest-scoring defenseman on the roster. Tommy Mahoney has racked up 35 points on the season and has been a defenseman with the Ice Breakers, but he mostly played forward with the Carolina Thunderbirds earlier this season. Q: How did you end up playing for the Ice Breakers this year? Steven Fowler: Tim Perks and Vaughn Clouston told me about Mentor. I spoke with coach and made the decision to come here. Brody Duncan: I wanted to get back into the game after taking some time off and playing locally. My father being the coach and general manager gave me a big boost to get in shape and start anew. Q: What's it been like to see the growth of the team over the course of the season? SF: It's been awesome. Everybody is super close and respects each other, which makes it easy to play as a unit. BD: It's been a roller coaster of a season and it's been truly amazing to play for the team and the front office. Everyone takes care of us and makes it easy to work hard. Seeing us build this organization off of hard work and resiliency has been an amazing experience. Q: Steven, how cool has it been being able to play with a couple of your old friends, Tim Perks and Vaughn Clouston? SF: It's been awesome, being here with friends for my rookie season has been great. Timmy and I have been talking about playing together for seven or eight years now, so it's pretty special. Q: Brody, what's it like playing for your dad in a pro hockey league? BD: It's been a dream come true. As a young kid watching him coach, I always wanted to be on a team that he led. It was my first time this year in Mentor and with all the things we've been through as a team, it's been very rewarding. With my father and I and our personal lives it's been a dream come true being able to share the game that I love with my dad. Q: What's been your favorite stop of your hockey career so far? SF: My favorite stop so far honestly would have to be Mentor. I think I've developed as a hockey player and a person a lot since I arrived here. It's been a great experience. BD: Mentor, Ohio by far! Q: How do you like living and playing hockey in Mentor? SF: It's great. We have the chance to be on the ice as much as we want and we are surrounded by a great staff. The location is a lot of fun as well. 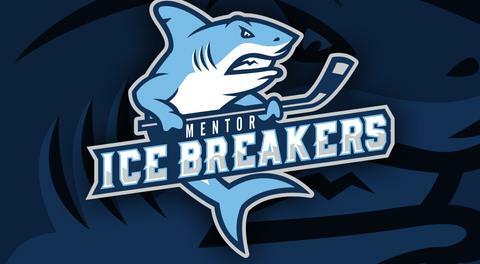 BD: Having such a nice rink with everything we need in such a close proximity and with the lake being so close and the city of Mentor being so amazing, it has helped a ton. Q: Steven, what made you decide to come back to North America to play professionally after seven games in Sweden? SF: Once I found out about the opportunity here, I talked with my family and decided that it would be best for myself and my career if I'm in the United States, so I decided to come back. Q: Brody, what made you decide to get back into hockey after a couple of years away from the game? BD: As an athlete, you want to give a huge chunk of your life to something you love and dearly and you don't want to constantly think about regrets and missed opportunities. I coupled that with my love of hockey with my dad and the opportunity to be part of a brotherhood of guys who are truly a family to make the decision. BD: Emotional, hardworking, physical, and some skill passing. Q: What's your game day routine like? SF: My routine isn't too crazy. I usually try to wake up and eat and then get going to do something light and relax. I get to the rink a little early. BD: It starts with a good breakfast and a ton of coffee. I try to keep it low key with no special routine. Q: Who's your favorite NHL player? BD: Waterfowl hunting is a huge passion of mine. BD: Sloppy joes with chips on the sandwich. SF: I'm a big fan of all types of music. Q: What's a random fact about you? SF: Derek Moser taught me how to juggle. BD: I love video games but I'm absolutely terrible at them. SF: Scoring my first pro goal here in Mentor was really special. BD: Winning state with my childhood friends.